How Can You Help Your Senior Get More Liquid Every Day? Your aging adult might not be excited about the idea of drinking more water every day, but there are some things that you can do to make hydration easier and less of a hassle. The easiest way to encourage your elderly family member and other family members to stay hydrated is to keep water bottles handy. When water is right there and readily available, it’s tougher to ignore the need to drink plenty of water. Make Soup a Part of Every Day. 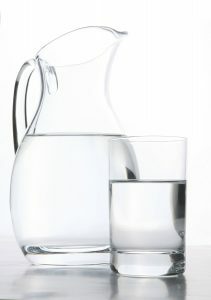 When most people think about staying hydrated, they tend to think about drinking more water, which can be intimidating. One way around that is to include other types of fluids in your senior’s daily diet. Soup, especially broth-based soup, is an excellent way to provide additional water that is flavorful and enjoyable. Another option when you’re looking for something that tastes great is to venture into herbal teas. These have the added benefit of being free of caffeine, so they’re safe for your senior to drink later in the day. You can find these in many different flavors. Offer Water before a Workout. It’s a good rule of thumb to drink a glass of water before working out. Your senior might enjoy having a bottle of water handy during the workout, too, but that full glass before she exercises can help her from losing too much fluid through sweat. A glass after working out doesn’t hurt, either. Your senior’s doctor and pharmacist have probably both recommended that your elderly family member takes her medication with a full glass of water every day. The big reason for this is that having plenty of water ensures that your aging family member doesn’t choke on her medication or have trouble swallowing it. But an added benefit is that it’s another full glass of water you can add toward her water tally for the day. Be sure to let home care providers and other family members know how they can help with fluid intake when they’re helping your elderly family member. This way you know that even when you’re not there, your senior is getting hydrated.